This is our Benjamin. 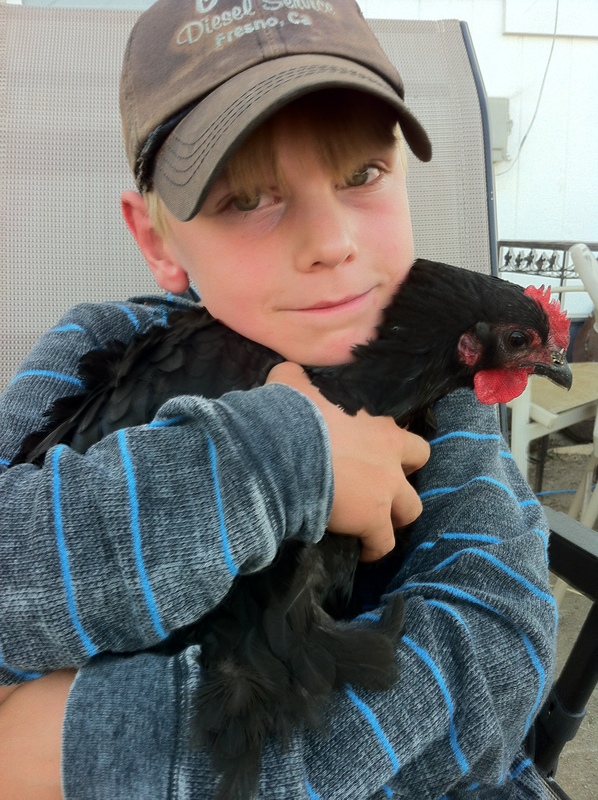 At eight-years old, he has become the Chicken Charmer. 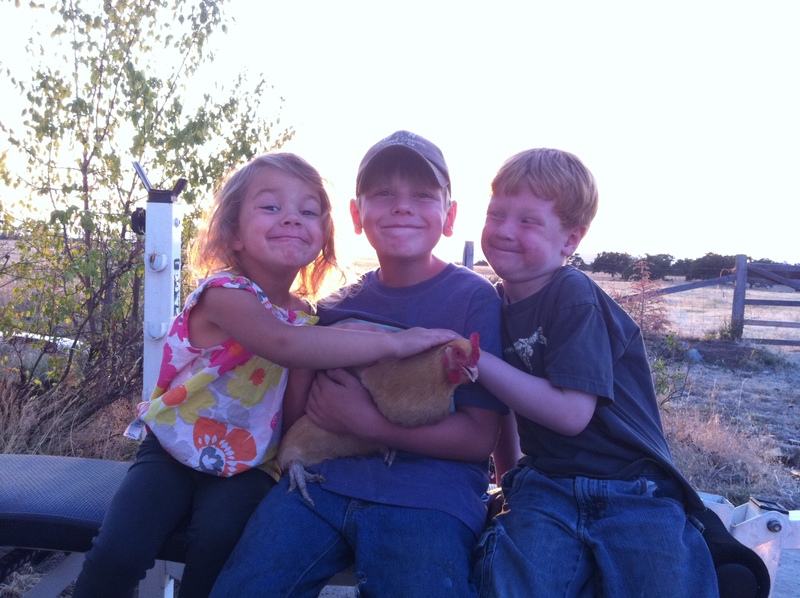 Every single one of our chickens will let him hold them. Sometimes, he swears, they snuggle. Ben and Bean with Cousin Olivia – bunch of Goofballs if you ask me! Next Post Look at the Size of that Egg!